Taylor Morrison is offering Texan home buyers of different budget range the opportunity to have an interactive home. The home builder is integrating home automation technologies across its range of homes. Taylor Morrison said the connected home solution will allow home owners to screen visitors at the front door, change the music in the family room, and control their home from the palm of their hand. The dawn of the digital home has created new opportunities for Digital Service Providers (DSPs) to increase customer satisfaction and grow revenue per subscriber through deployment of home network equipment and delivering connected home applications and services. It also comes with many challenges in terms competition, customer service and implementation. This is according to a new whitepaper from Parks Associates titled “Service Providers and the Connected Home”. It details the steps broadband, television, communications, and wireless service providers can take to win the race to serve the digital home. Parks Associates announced today Jon Cody, Senior Vice President of Digital Media for Fox Networks Group will present the CONNECTIONS™ morning keynote, "TV Anywhere--How a TV Network Must Navigate the New Broadband Frontier,” on Wednesday, June 29. Cody will address challenges to broadcast and cable providers as digital media expands options for viewers, advertisers, operators, and manufacturers. At this year’s Computex show in Taipei China (May 31 - June 4), Cavium is promising to demonstrate their best in digital home and home entertainment solutions. Geared towards OEMs and ODMs they will be showcasing their latest set-top box, networking and digital home applications, based on their PureVu, ECONA, Celestial and OCTEON processor families. Lenovo has announced the creation of a separate business unit that will cater for the Digital home and Mobile internet solutions. The new unit is called the Mobile Internet and Digital Dome division, and will also responsible for newly formed categories such as smart TV, cloud computing and the digital home, as well as the applications and services that will run on the devices. Abilis Systems announces the acquisition of Freescale Semiconductor CMOS Modulators and Silicon Tuner product lines. The acquisition of these assets will allow Abilis to expand its broad portfolio of leading, silicon- based digital TV (DTV) and tuner solutions and better address the needs of the growing digital TV market, and in particular of Digital Terrestrial (DTT) and cable platforms. The Telecom Council met in May under the title, “The ConnectedHome: Services and models”. The meeting looks at how suppliers and manufacturers were responding to the needs of consumer in creating the connected home environment. See what Intel is doing here - Intel’s Vision of Next Generation Connected Homes. In April Ericsson released their finding on a survey they did entitle “IPTV and the connected home” what consumer want from advanced TV services and the Connected Home. I mentioned these because the “connected home” is a growing topic and is now a frequent topic in media, telecom and other technology gatherings. 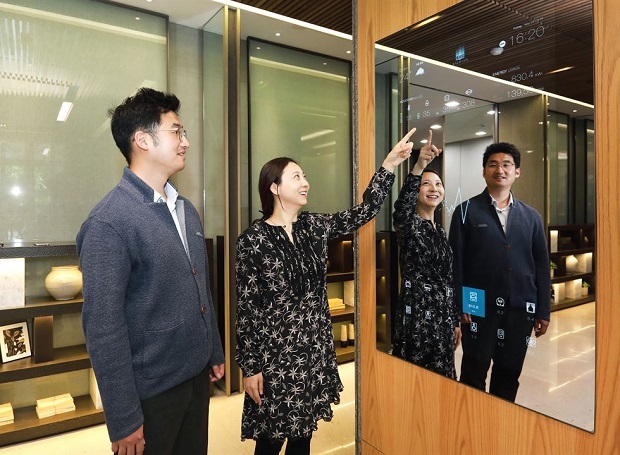 The Continental Automated Buildings Association (CABA), through its Connected Home Research Council, is launching a groundbreaking research project to explore what the future will look like in the digital home. Through a collaborative process, the primary objective of the research project, entitled ‘It’s the Magic Thing’, will be to evaluate future connected home technology and connectivity solutions that enhance quality of life. The research will identify gaps between consumer wants and existing technology, in an effort to translate these gaps into future wants.